Yes, you're right. Any release date is better than no release date and also better than absolutely no updates on the development status for a long time. It's depressing. No it isn't, because then everyone just gets even more anxious and angry if the release date is missed. We have never had this much angst about the release of previous SE versions, and those versions never had a release date. Then for 0.97 Vladimir did give a tentative release date, and when he was unable to release at that time then everyone started behaving as they are now. Release dates are very bad things for software of this kind, which is in development by a very small team (one person in this case) who is working on this in his spare time (for free! ), time which can be highly variable due to other real-life obligations. Believe me, he understands the need to get the next version released and is working as hard as he can towards making that happen. Why do you think he barely posts on the forum anymore? Because he's too busy to. He's not wasting time doing anything that doesn't have to be done. So far less time has passed between 0.96 release and now than passed between 0.95 release to 0.96 release, and 0.95-0.96 was probably a smaller update than 0.96-0.97 will be. He's done an amazing amount of work in that time. This whole wait would go a lot more smoothly if everyone would just stop going on about the release date. It will be done when it is done just like every other version, and then you can have it. Just be patient, I'm sure that all of you can find something better to do for the next couple of weeks than continue to dramatize the waiting. Then for 0.97 Vladimir did give a tentative release date, and when he was unable to release at that time then everyone started behaving as they are now. I agree, if another release date was missed everyone would become anxious for 0.97. Spaceengineer works on this project as a hobby in his free time and you shouldn't stress him out with questions like: "When will it be released" or "What time frame". It reminds me of scientists who speak with the media. I remember reading somewhere that a journalist asked a scientist when invisibility cloaks would be possible. As they kept asking and asking he gave them a possible timeline which sparked articles like "15 years to the Harry Potter invisibility cloak". Vladimir did give a tentative release date, and when he was unable to release at that time then everyone started behaving as they are now. This is one reason why so many developers just say TBD/TBA until shortly before release. Valve is a good example, Dan Dixon did it now with the new version of Universe Simulator, it seems to really be the best option. Especially now that a lot of people have complained about it I think future releases should either just give a rough idea like "late 20xx or TBA". I'm playing alot of World of Warcraft (WoW) in the meantime and I check up the forums regulary, I must say I don't get disappointed at all when there's barely no new announcements yet or perhaps just a few. From my heart I love astronomy since I was 5 years young. And I can tell that once you truly love Something you'll know it'll be worth waiting. I agree with n3xt. I check this site every day and sometimes more than once. But I am patient. The only thing that I worry about is noticing the update when I have homework to do or at 2 in the morning. I get a little anxiety when I check this site late at night because I know that if the new version came out, I would have to download it and play it before I went to sleep. Thanks so much Space Engineer! And thanks for taking the time to release a stable version. I wouldn't mind if there was pre release 0.97 version for testing. People could play an important role in helping to find bugs. SpaceEngineer already has an internal beta test team for locating pre-release bugs. I agree with you. If it takes one more or six more months is not important, as long as the release is good! Wooow! We got a feisty one over here. How could you miss the release date, though? What other games/simulators could halt the release date? Doesn't that just happen with the games made by the big companies? What are you saying? That didn't make any sense to me. I think he is talking about delayed releases. Having something take longer than you thought and thus pushing the release date back hits small and independent developers too. For example, Dan Dixion said that the beta release will be delayed a bit because some elements were taking longer than he thought. Maybe he underestimated how many bugs it would have? Maybe he ran out of free time to work on it? Lots of factors can effect a release date.  Release date delays happens a lot more with indie devs then big name companies.